Resuming of peace talks between the US and Taliban has been reported at a time that war must be ended but how? It is a difficult question and peace talks are the only way of ending war. The government has been using double option policy, either war or peace. In the wake of ceasefire extension, probability of talks between Taliban and the US has increased. Support of peace process and taking practical steps in the direction of relaxing war in Afghanistan are among expectations of Afghan people from the government. As the US previously made efforts for peace and convincing of warring factions to political negotiations, she can play now constructive and effective role in this process too. Previously, the US was against direct talks with Taliban but recent changes show that the US disagreement gradually reduces. In their statement on end of ceasefire, Taliban requested direct talks with the US specially on withdrawal of foreign troops, because they don’t want to give the concession of withdrawal of these troops to the Afghan government. 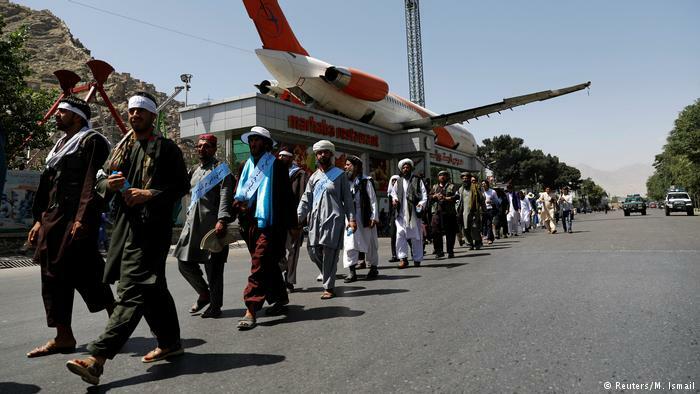 The US State Department has also declared that it is ready to join talks with Taliban. The US secretary of state Mike Pompio said that the US is ready to support, and pave the way and participate in these discussions and discuss the most important issue to Taliban i,e withdrawal of foreign troops. Prior to the ceasefire, the US authorities had said that there are a lot of issues that prevent direct talks with Taliban in short term. One of these is this that who has the authority of talks with US authorities from Taliban side. What would happen to hardliners Taliban elements? There are certain elements among Taliban who don’t want to attend negotiating table. Now the ball is in the Taliban field. We are waiting whether the Taliban embark on the path of Afghan people or continue anti-Sharia actions! There are hopes that Taliban may say “yes” to this suggestion, because this opportunity is in their advantage. Prior to this, in two separate statements, Taliban requested direct talks with the USA and had rejected talks with the Afghan government. Although Taliban differences are profound but the requirement of our time could lead them to this direction, because the fresh enemy in Afghanistan, region and the world is a serious and common threat to both sides. This is the best opportunity to both sides to retreat and give essential privileges to each other. Despite of the continued peace efforts of the Afghan government for restoration of peace, until coordination and convergence have not beencreated among national, regional and international policies, peace strategies would not succeed.